Next time your mother gives you grief because it's been three days since you called her, tell her this story and remind her how good she's got it. 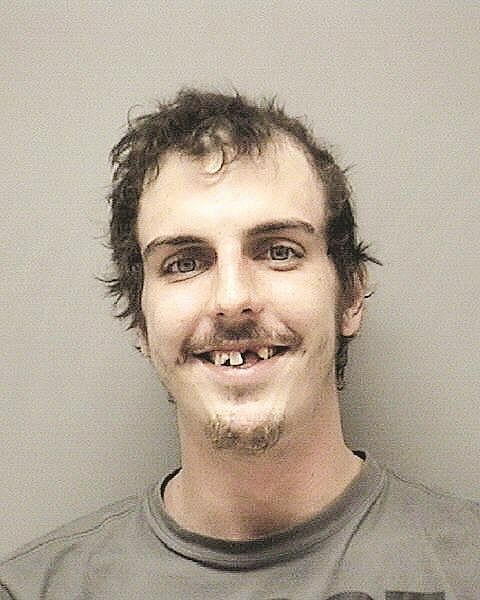 27-year-old Austin Smith of Pekin, Illinois was arrested on Friday for robbing his own mother at knifepoint. Around noon he put on a mask, broke her back window, climbed into the house, pulled a knife on her, and demanded her money. She didn't have any cash, so he tried to tie her up, failed, and ran away with nothing. The cops tracked him down about 90 minutes later hiding out in an apartment complex, with nine knives on him. He was arrested and charged with home invasion. He seems like the kind of guy who would live with his mother, he doesn't, apparently she recently kicked him out and told him not to come by anymore. And one more thing: Even though he was wearing a mask, the cops assume she KNEW it was him during the robbery. Read the whole story at Pekin Daily Times.